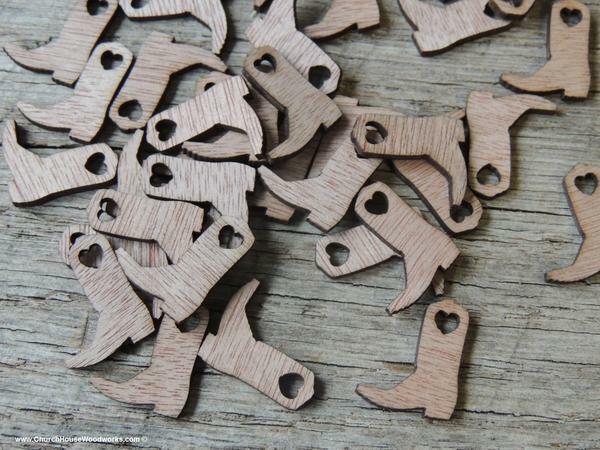 100 Small Wooden Cowboy Boots. Perfect for scattering around a guest book or other wedding decor. Dimensions are approx 5/8"wide x 3/4"tall x 1/16 inch thick. Wood is darker on the front and lighter color on the back. (see photos)These would make a great addition to any rustic barn wedding, baby shower, or bridal showers.